Acne isn’t just an issue for young teens — it can plague you well into your adult years, too. 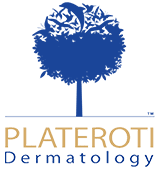 Carmelo Plateroti, DO, FAOCD, FAAD, and the skilled team at Plateroti Dermatology in Templeton, California, have more than 30 combined years of experience in the medical field, and they’re ready to help you reclaim smooth skin at last. Book your appointment with the online tool or call Plateroti Dermatology to schedule your visit for acne help now. Acne is a very common skin problem. In fact, it’s America’s most common skin issue. Acne usually causes blemishes on the face, but you may also have breakouts on your chest, back, arms, and buttocks. Nearly everyone gets the occasional whiteheads and blackheads, the two noninflammatory types of acne. The other types of acne are more serious because they’re inflammatory and can lead to complications, including acne scars. Dr. Plateroti designs an acne treatment plan for your individual needs. Your treatment may include one or more of the following. Dr. Plateroti may also do in-office extractions or steroid injections for nodular and cystic acne if you need it. Additionally, you may need to make some routine changes to reduce breakouts. What can I do to prevent acne breakouts? Of course, you should also avoid “home surgery.” Don’t attempt pimple or cyst extractions, and don’t pick at your skin. If you do, you’ll only worsen the problem and increase the odds of serious infection. If you feel like your acne’s bad enough to be tempted to pick at it, schedule an appointment with Dr. Plateroti instead. He can prescribe effective treatment so you no longer have to look at lumps and bumps when you look in the mirror. Get rid of your acne for good. Just click the online appointment scheduler or call Plateroti Dermatology to book your appointment for acne help now.